Welcome to X-LAB! Here we share our side activities and projects in HIDE. These are mainly experimental projects which we collaborated with other designers to make these awesome new products. 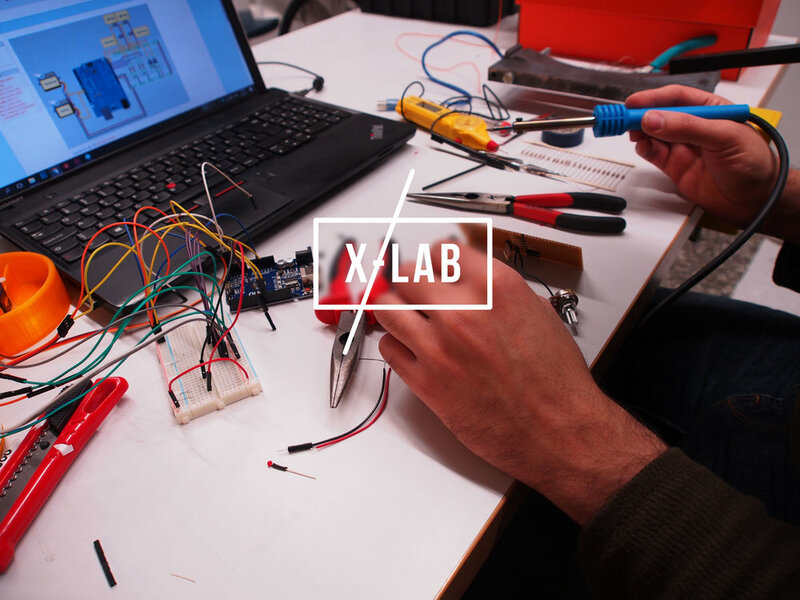 X-LAB is the manifestation of our team creativity, adventurous nature and of course willingness to explore unknown territory; make sure to check this page often since we tend to this often. 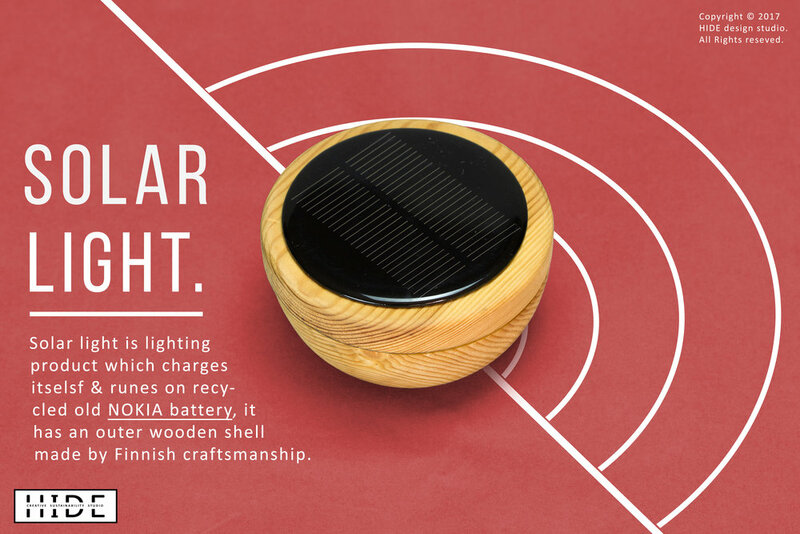 Solar Light - Wood version, is lighting product which charges itself and at his heart it has an old NOKIA battery, recycled from old NOKIA phone. Designers: Soroush Moradi, Goeun Park. 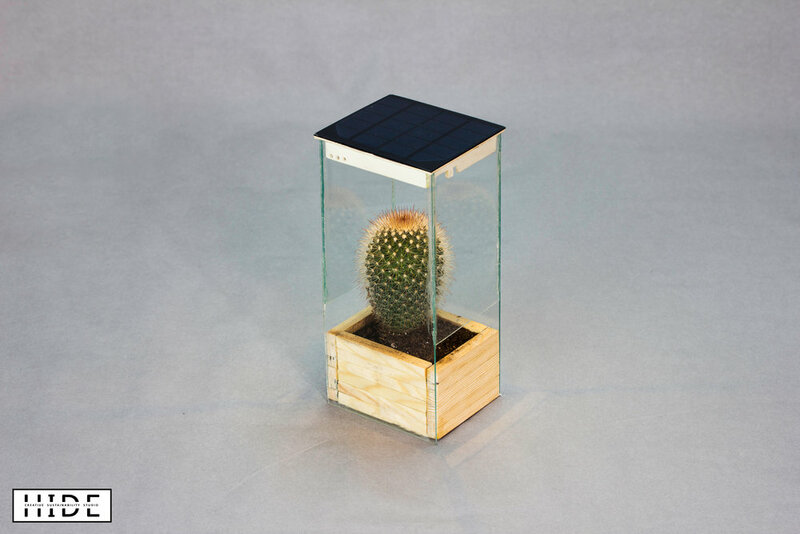 Solar Planter - Cactus version, We gathered few things for this project to improve charging process and add light sensing option as well as phone charging feature to the package. Solar Charger - Rug version; is a solar charger for charging phones and powerbanks, it is wrapped in old school persian rug style fabric. 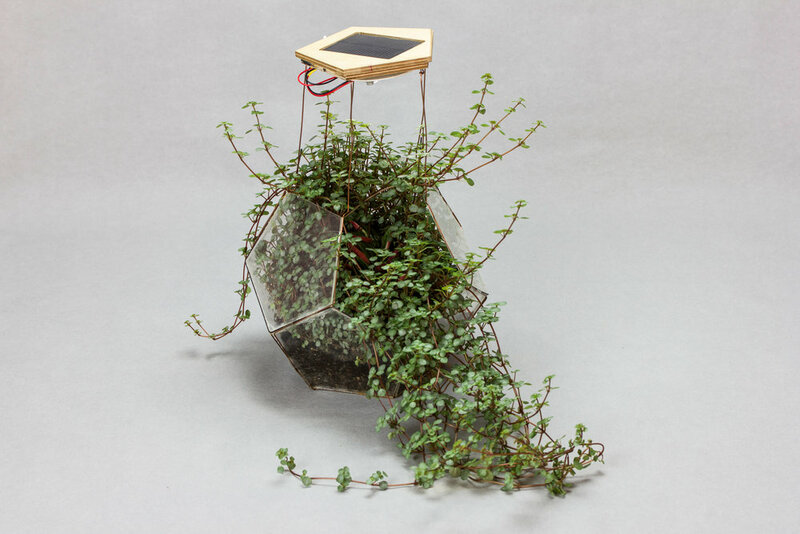 Solar Planter - Pentagon version; Is a Solar panel based light and planter, it is our first solar planter in our planer series. Designers: Goeun Park, Soroush Moradi.